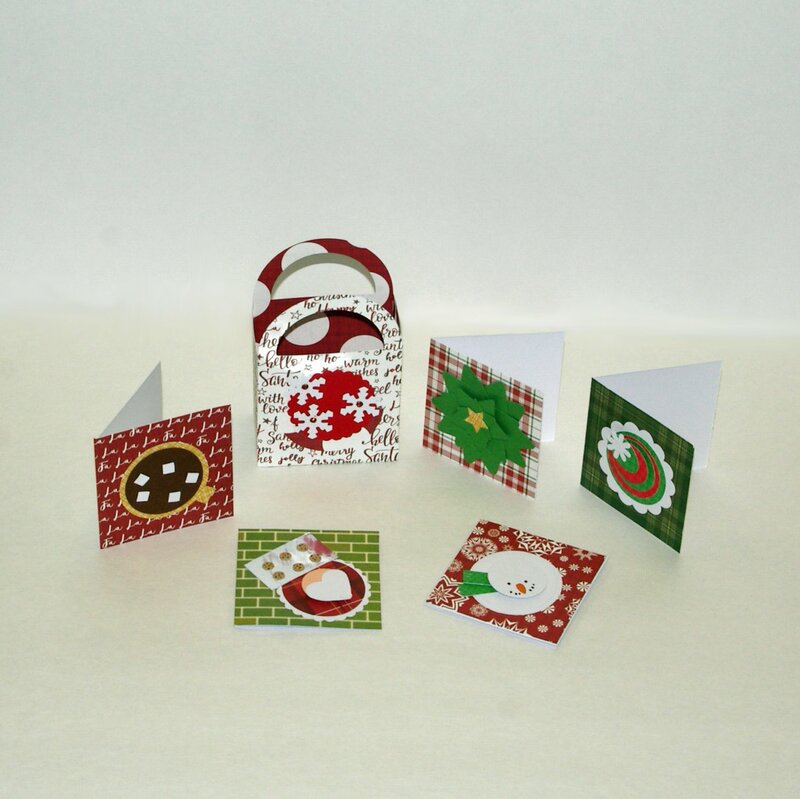 Take a different look at favourite holiday shapes and make a set of adorable holiday mini cards plus a box to keep them in. You’ll make 2 each of a snowman, Christmas tree, Mrs. Claus, toque and hot cocoa cup. Use them as gift tags, or give the whole set as a gift to teachers, friends and other special people. Materials Included: Paper and supplies needed. Requirements: Basic tools and adhesive, including 3D Foam dots or tape.